Q: When at the range, I frequently hear other shooters referring to how many "clips" they have for a gun or how many rounds a "clip" holds. I've also heard the term "magazine" used for what I think are the same parts of guns? 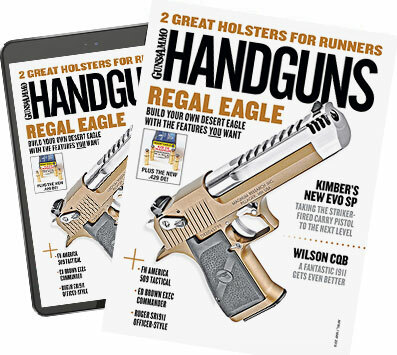 Is there a difference between a clip and a magazine? â€”Earl J. A: The terms "clip" and "magazine" are incorrectly used interchangeably these days. Purists, myself included, consider a magazine as the ammunition reservoir for charging the gun's chamber, and the "clip" as the reservoir for charging the gun's magazine. Unfortunately, reality is not so black and white. For example, there are internal magazines such as on the Remington Model 700 or SKS and detachable magazines as on the M1A and most semi-automatic pistols. There are also internal magazines that are detachable, such as on the Browning A-Bolt. 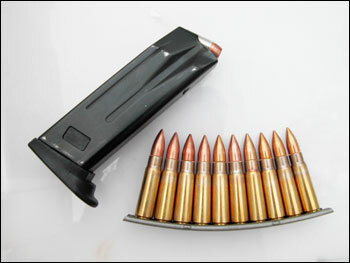 There are "stripper clips," which hold cartridges that are stripped down into a detachable or integral magazine that are removed from the gun before firing such as with the Mauser '98. There are also charger clips that are placed along with their component cartridges into the magazine. The best-known examples are the M1 Garand and Italian Carcano. There are also "moon" and "half-moon" clips meant to allow the use of rimless semi-automatic pistol rounds in revolvers.